Today I’m sharing two envelopes that are made to suit 5 x 7 inch cards. Why two ? Well, one will fit on an A4 Size paper or a Letter sized sheet of paper. I’ve made it so the tabs are big enough to adhere the envelope together but still able to fit on regular copy paper. And of course you can use it in your printer before cutting so it’s very versatile. Here’s the SVG Cutting File for the 5 x 7 envelope to fit a Letter Size or A4 Size piece of paper. The other envelope is perfect for cutting from 12 x 12 inch papers. 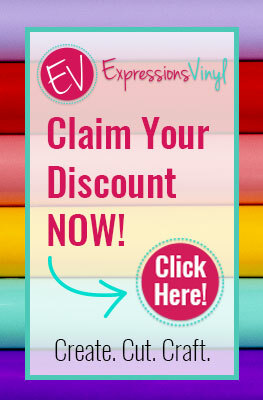 So you can use your prettiest double sided papers or any 12 inch scrapbook papers for this one. Here’s the SVG Cutting File for the 5 x 7 envelope to fit a 12 x 12 inch piece of paper. Before you go …. a note about resizing. It’s possible that the SVG’s will import at a different size to how they exported from Silhouette Studio (which is what I use to design and make Cut Files) ! Do check the size before cutting – just in case! I have included the correct size on the Info notes about the design that is included in the Zip Folder download. Use these measurements……or use this super quick way below to double check the size is correct. Once the design is imported into your software, draw a rectangle that is 5 x 7 on your workspace. Imagine this rectangle is your folded card. Then select the envelope including the fold lines then it out by the corner handles until the rectangle will fit nicely into the rectangular part of the envelope. Make sure there’s a little wiggle room so that your card will slide in and out easily. Thank you Pam. I couldn’t get these files into Silhouette but your original posts of the envelopes went in like a charm. Glad you found your way to the Silhouette Files Jan. The SVG files are in a zipped folder so the folder contents need to be extracted before importing the SVG into your program.